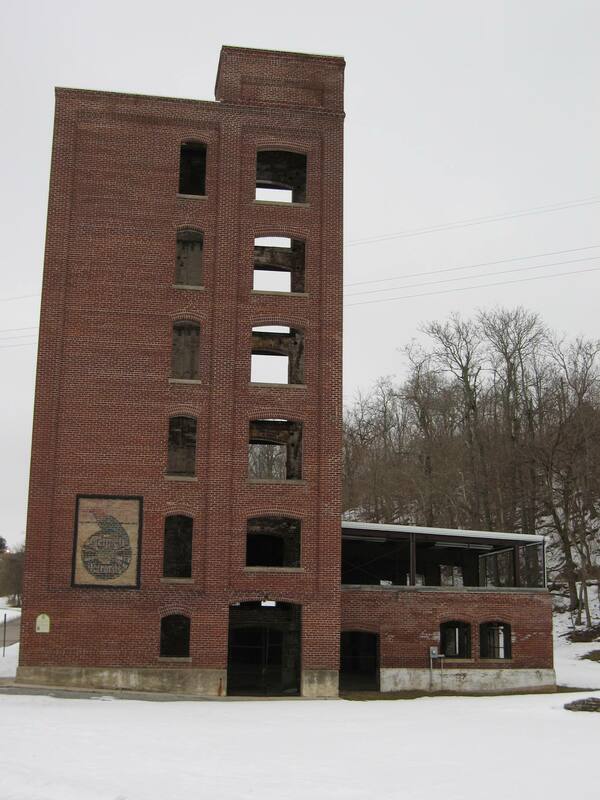 This is all that remains of the Gennett building today. 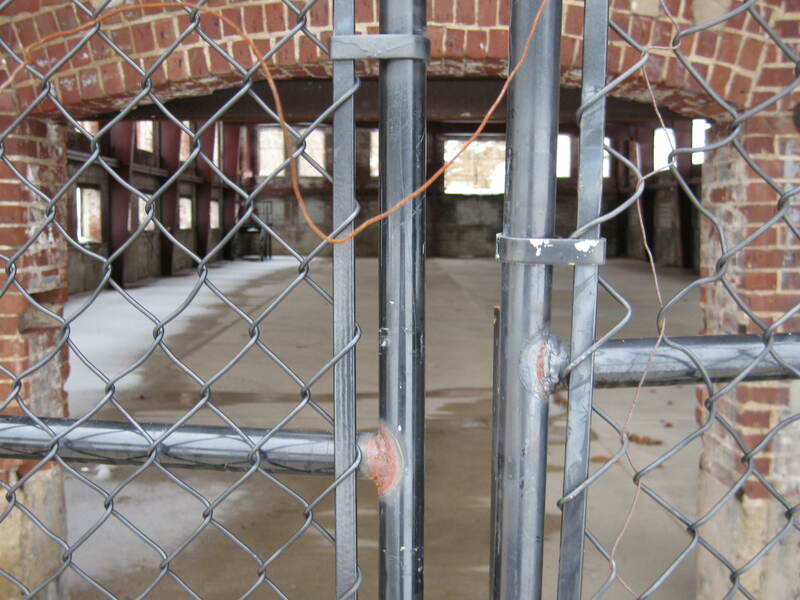 Most of the structure was torn down in the 1960s and '70s. This sign points the way to the Gennett building, but it's easy to miss if you're not looking for it. Close-up of the Gennett parrot still visible on the tower today. 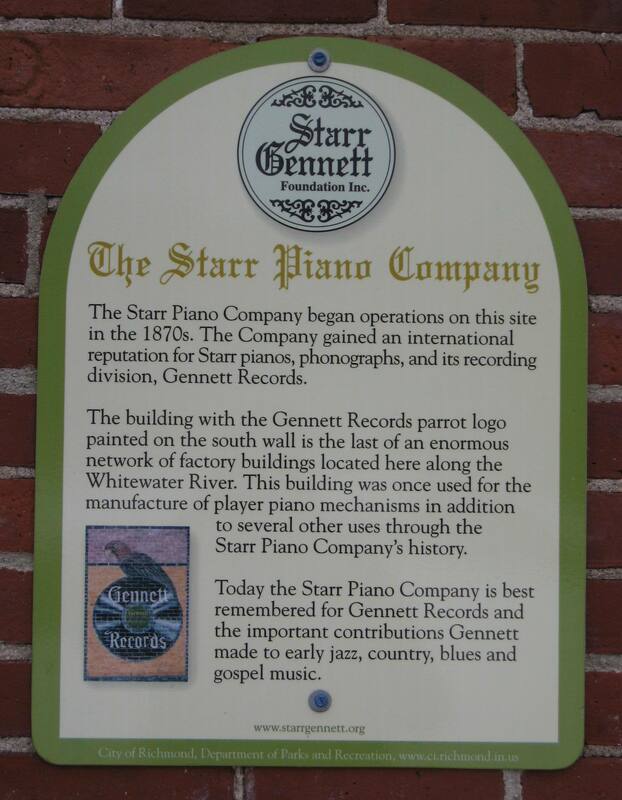 This plaque is mounted on the Gennett building to the left of what appears to be the former main entrance. There isn't much to see inside the building. The structure has been gutted. 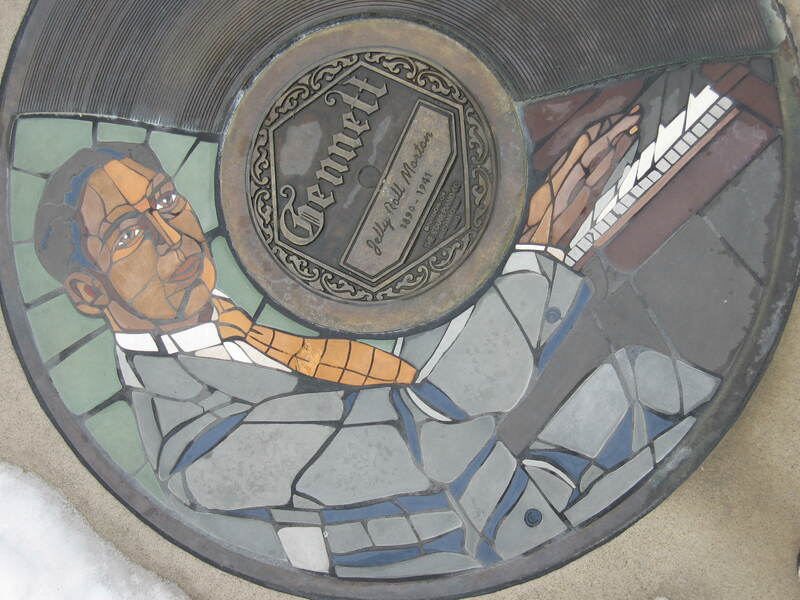 Detail work of the marker celebrating Jelly Roll Morton on the Gennett Walk of Fame. 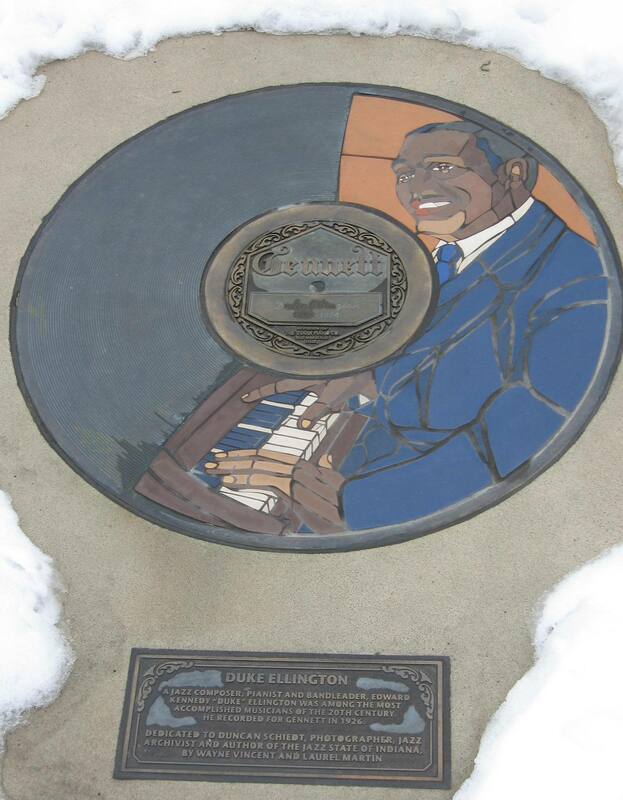 Hoagy Carmichel's plaque on the Gennett Walk of Fame. 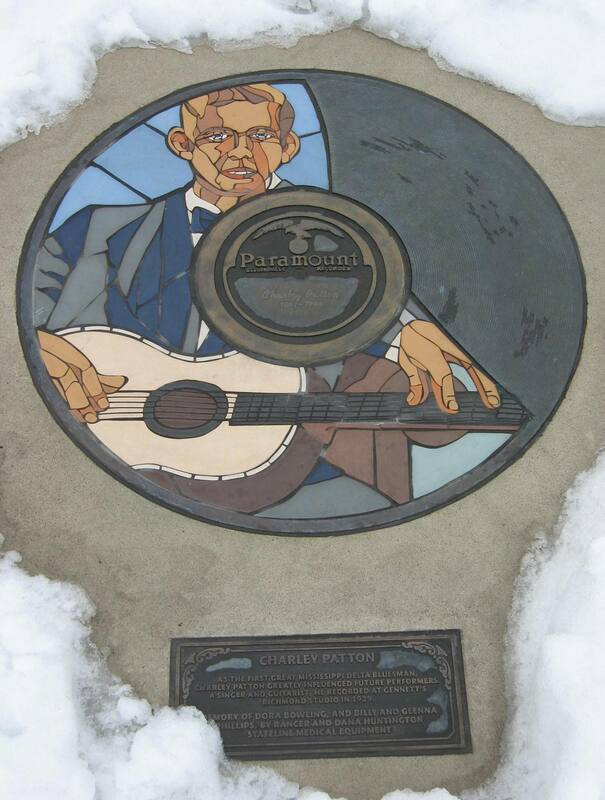 Blues legend Charlie Patton's marker on the Gennett Walk of Fame. 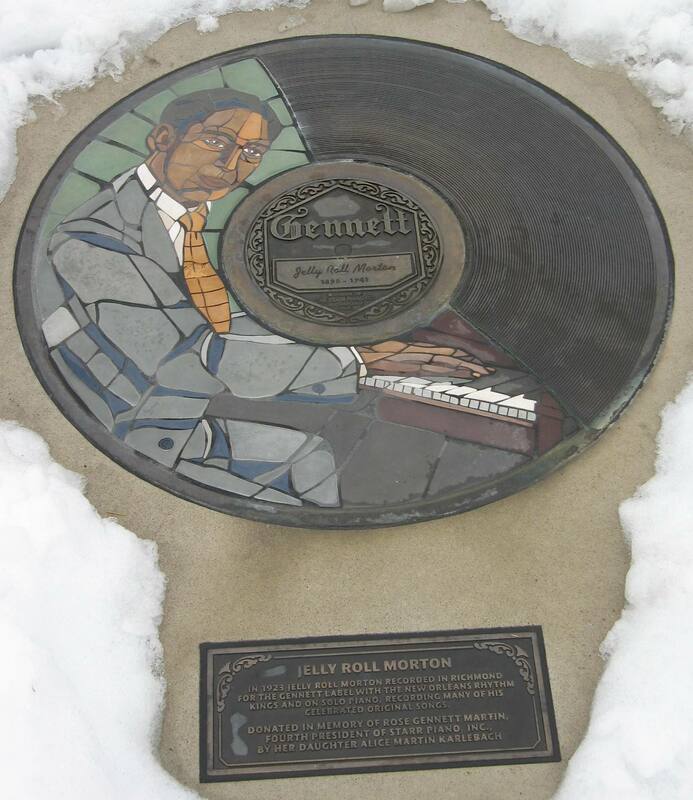 Duke Ellington is also honored on the Gennett Walk of Fame. 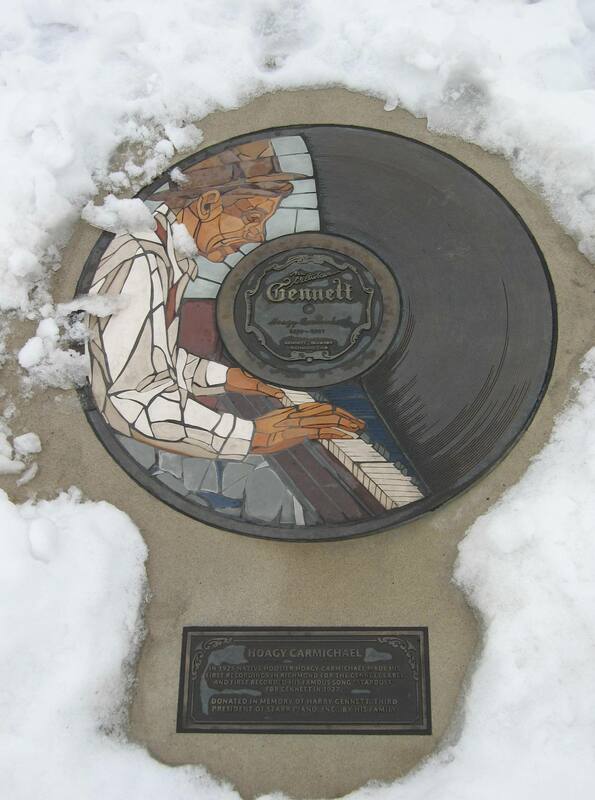 Jelly Roll Morton's plaque on the Gennett Walk of Fame. 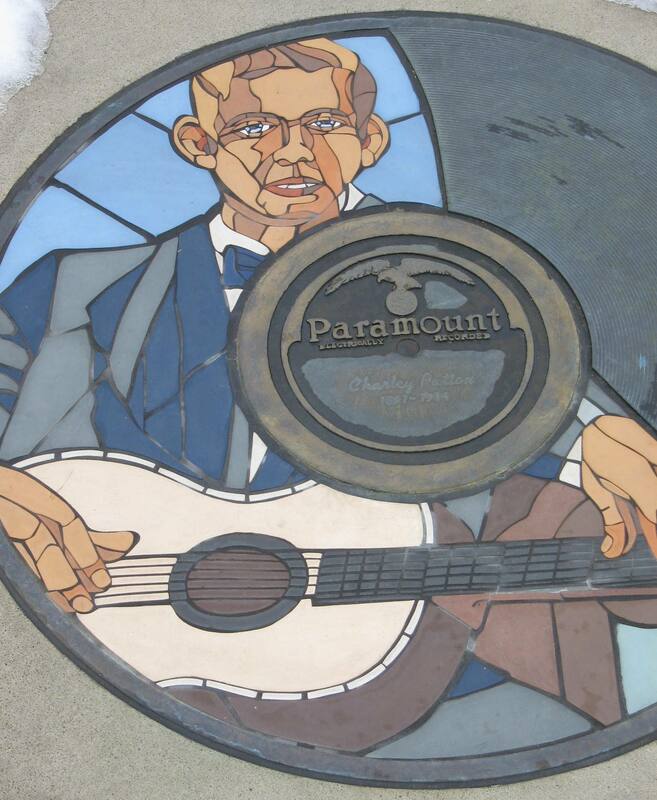 Close-up of the mosaic honoring Charlie Patton on his plaque on the Gennett Walk of Fame.